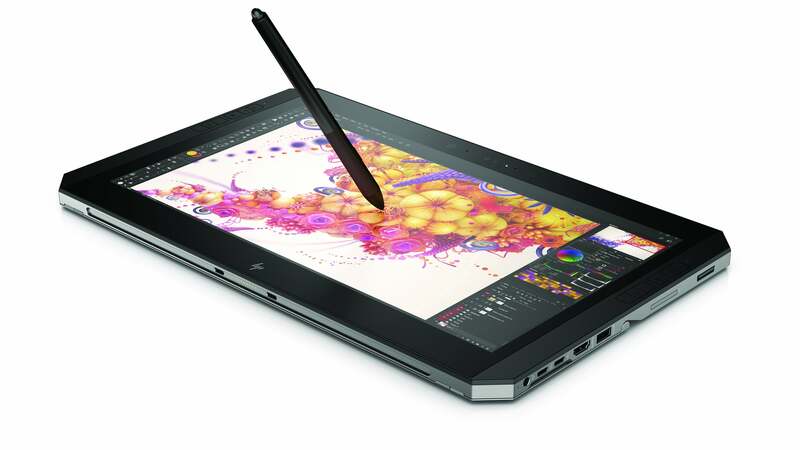 Whether you call it a workstation or a 2-in-1, HP just designed perhaps the most powerful tablet you can buy. The HP ZBook x2 features a quad-core 8th-gen Intel processor, workstation-caliber graphics, Thunderbolt, and up to a whopping 2TB of SSD storage. Did we mention it’s ruggedized, too? 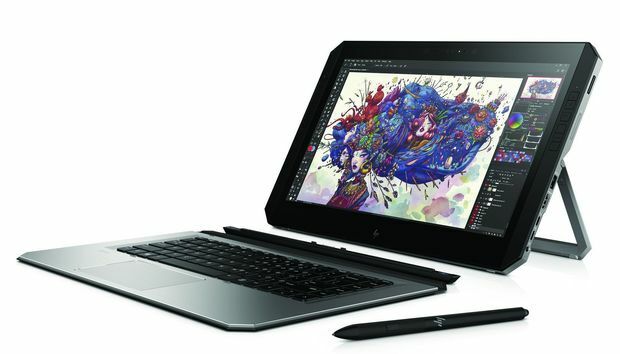 HP unveiled the ZBook x2 in advance of the Adobe Max conference, aiming the powerful tablet at graphics professionals who need the power of a workstation while on the road. Competing tablets, such as Microsoft’s Surface Pro series or the Apple iPad, simply don’t offer enough horsepower to get the job done, according to Sarah Burton, the global lead for the zBook mobile workstations. “There’s lag, there’s file issue, and that really gets in the way of them getting the most out of their creativity,” Burton said. Why this matters: With the tablet and two-in-1 form factor now relatively well-established, PC makers are trying to differentiate themselves from each other and Microsoft, which has helped drive the platform. Mobile workstations have long carved out a niche in laptops; now they may do the same in tablets. Just don't ask for one for Christmas. The ZBook's starting price is $1,749, and we'd quickly expect that all of those fancy options will push it even higher, fast. The HP ZBook x2 isn’t exactly svelte. HP already designed a pair of solid tablets with the Elite x2 and the Spectre x2, and some of the design cues carry over. At 4.78 pounds including the keyboard, the ZBook x2 definitely needs a kickstand. If Microsoft hadn’t just announced a 15-inch Surface Book 2, the ZBook x2 would be one of the largest tablets around. As it is, its 14-inch, 10-bit 4K “Dreamcolor” antiglare display that's 100 percent qualified for Adobe RGB certainly qualifies it as a premium product. Part of the weight is also undoubtably due to the fact that it’s rated for MIL-STD 810G ruggedness, so that a casual drop shouldn’t damage it. It’s what’s inside—and on the side—of the Zbook x2 that really sets it apart, however. HP’s spec sheet lists five different versions, with processor options ranging from two 7th-gen Core chips (the Core i7-7500U and 7600U) to three 8th-gen Core options: the i5-8250U, i7-8550U, and the i7-8650U. Graphics? Nvidia’s Quadro M620, with 2GB of graphics memory. Memory can be configured up to 32GB, which stomps the Surface Book 2's 16GB. It goes on from there. The base storage configuration is a 128GB M.2 SATA SSD, but there are options that include 256GB and 512GB of what HP calls its “Turbo Drive,” or 6 times faster than a SATA SSD. And if that doesn’t cut it, there’s an optional 2-terabyte NVMe M.2 SSD inside the tablet, too, which is just getting ridiculous. A closer look at the XBook x2’s ports. 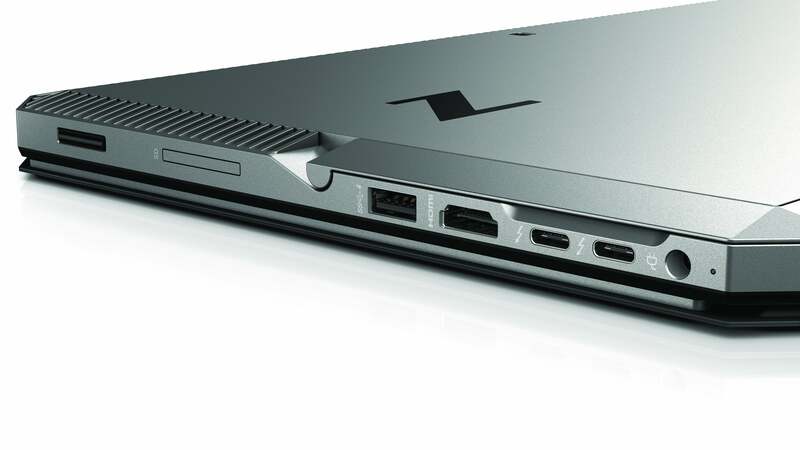 For additional display capability the ZBook x2 includes a pair of Thunderbolt 3-compatible USB Type-C connectors on the side, plus the traditional USB 3.0 connector, an SD card slot, a headphone jack, and an HDMI port. Just in case that doesn’t cut it, an optional Thunderbolt 3 dock allows the tablet to power two more 4K displays, or a whopping five additional 1080p displays. Finally, there’s the included pen, a necessity for digital artists. The Wacom EMR pen includes 4,096 levels of pressure sensitivity. The Zbook boasts up to 10 hours of battery life, which isn’t too bad for a tablet that looks like it will challenge many notebooks. For that matter, HP is already positioning it against the Surface Pro, proving that while Microsoft may have helped pioneer the convertible and two-in-1 tablet market, HP believes it should own it.